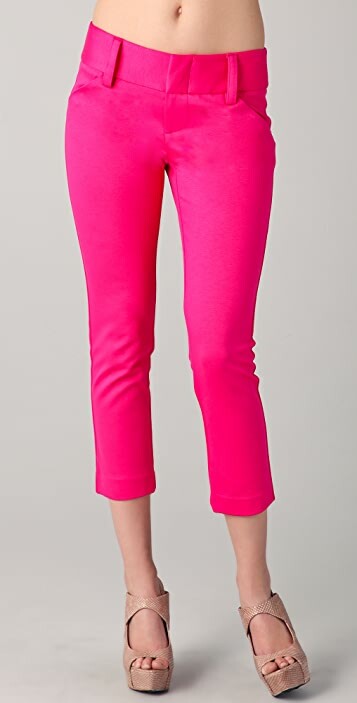 These cropped jersey Alice + Olivia skinny pants feature slant hip pockets and welt back pockets. 3 hook-and-eye closure. * 8" rise. 25" inseam. * 74% rayon/20% polyamide/6% spandex. Very true to size and a great fit.